I play social doubles with a group of guys pretty much every Monday, Wednesday, and Friday in SF’s Mission District. And though I love playing with these guys, our sets sometimes provide perfect fodder for discussions of “Tennis Etiquette”! Today was one of those days. The fact of getting called out for a foot fault doesn’t bother me. In fact, it’s something I’m well aware that I need to watch for whenever I step up to the line (because of my bad knees and wonky toss). What bothered me was that the guy who said that had stepped on the baseline at the start of every serve he hit in the set. 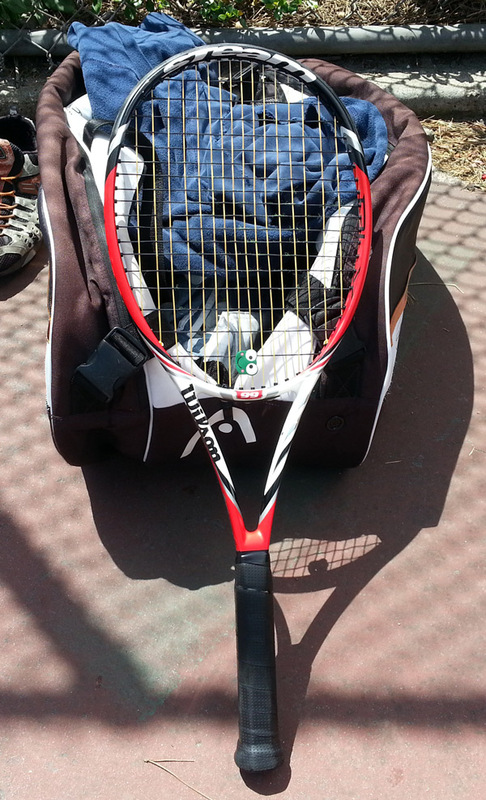 I also felt like this was only an issue because he couldn’t get a racquet on my serve. I’m all for playing by the rules with respect to foot faults, but not selectively. I stepped backed, then proceeded to hit my hardest serves “just because”, ending the set with an ace that sailed under my opponent’s racquet. Not quite vindication, but definitely a step to take the bad taste out of my mouth from his comment. Was I wrong for being peeved at (selectively) being put on foot fault notice? Should foot faults even be called in a social doubles match that’s supposed to be fun? Let me know what you think by answering this two-question survey. Thanks. * Do you think foot faults should be called in social doubles? For the past couple of weeks I’ve had the pleasure of getting to know Jackson Bloore, a personal fitness trainer here in San Francisco at DIAKADI Body. Besides the obvious (stunning good looks with an Adonis body owing to his work as a fitness model), Jackson is one of the nicest, most approachable guys you’ll ever want to meet. He’s also in the best shape I’ve ever seen from someone who’s not a dancer or professional athlete. I’ve watched his workouts at my gym over the past several months, and have been tremendously impressed by their caliber and quality. Though he has the muscular physique of a bodybuilder, trust me when I say that his workouts are about more than simply lifting weights. It’s also clear from watching him (and checking out his training videos) that he has a core belief about how to train others that he applies equally to himself, and his own workouts. This is fairly notable at a gym where you rarely see trainers “practice what they preach”. While chatting, I mentioned that I’ve been struggling lately with on-court injuries. 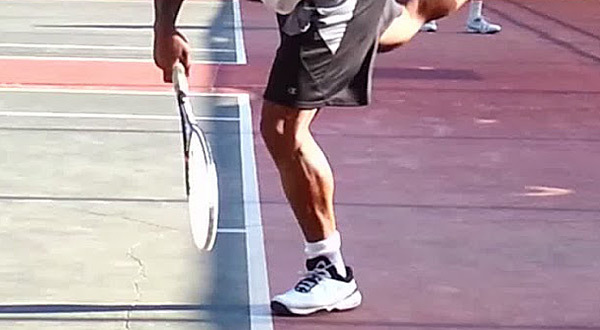 Though I’m in great shape by most standards, I’m pretty much at a loss on how to best train my 50-year old ex-dancer body for the rigors of my tennis game. After all, core work and biking only go so far. We set a time to meet so that Jackson could offer some suggestions on how I could better use my gym time to prepare my body for tennis. What followed was a mind-blowing 10-15 minute chat, with specific exercise suggestions, that gave me great hope for lessening injuries while improving my tennis fitness in 2014. I asked if I could share some of his insights with my readers, and he agreed. 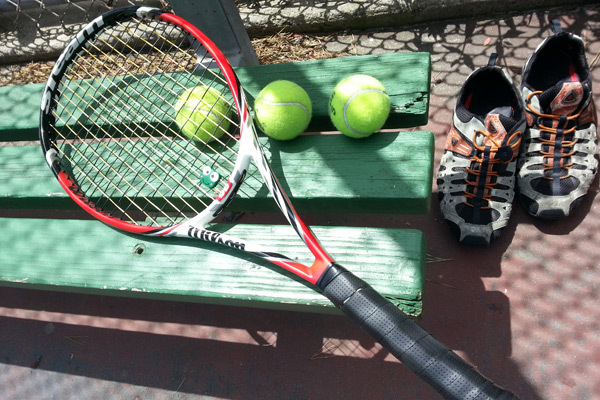 So as his time allows, I’ll share occasional training tips to help you all with various aspects of tennis fitness. I know this won’t have the same impact as ‘Oprah’s Favorite Things’, but I can’t say enough about Jackson’s knowledge, professionalism, and easy-going demeanor. 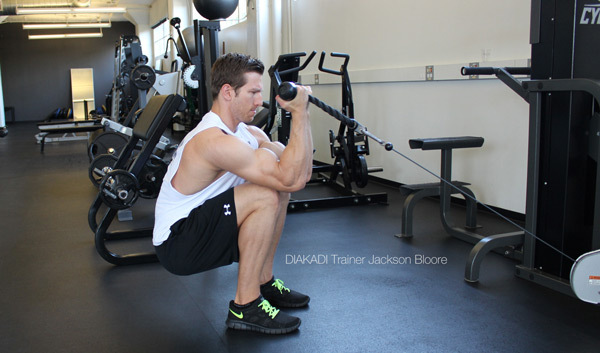 You can contact Jackson for consultation/training at jackson@actionjacksonfitness.com. He does in-person training as well as Skype consultations. If you’re struggling with injuries and need help with your training regimen, give him a shot. Until next time, enjoy these two training vids featuring Jackson doing his thing. 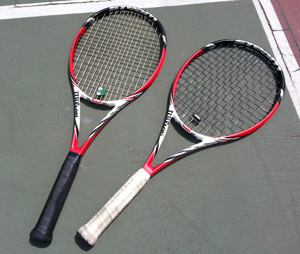 Whenever I post a racquet demo video, I get questions about the grips shown on the demos. After asking Marla about the grips on the last set of demos I tried, we ended up having a larger conversation on grips that was pretty enlightening, and well worth sharing. 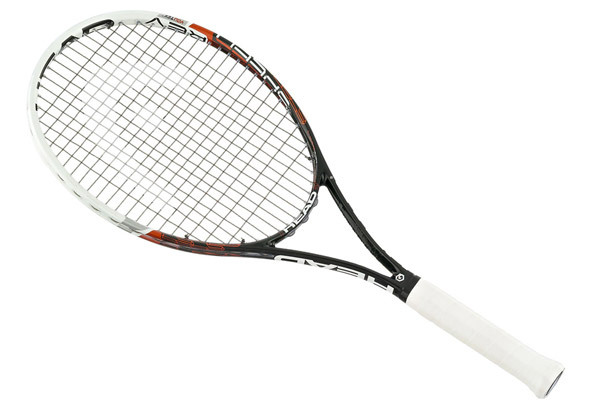 Question: What kind of grips do you use on your demo racquets? 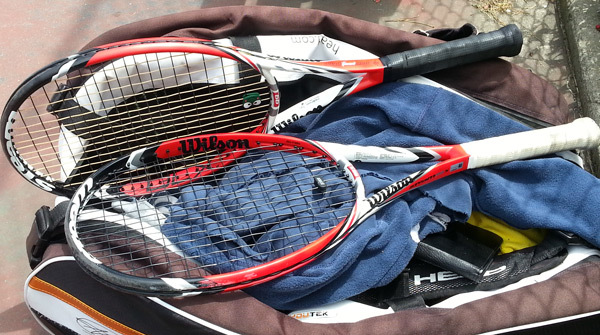 Answer: Some have overgrips, and some have the actual grip of the racquet. Question: Which do you recommend: actual grip or overgrip? Answer: I suggest that people try using the actual grip before going to an overgrip. Many grips nowadays are very good and have the qualities that the overgrips used to provide (tackiness and “feel”). But some people sweat so much during a match that they need to change their grip quickly during a match. Overgrips are good for those types of situations. Question: How often should you replace your grip? Answer: Overgrips can be replaced at any time. 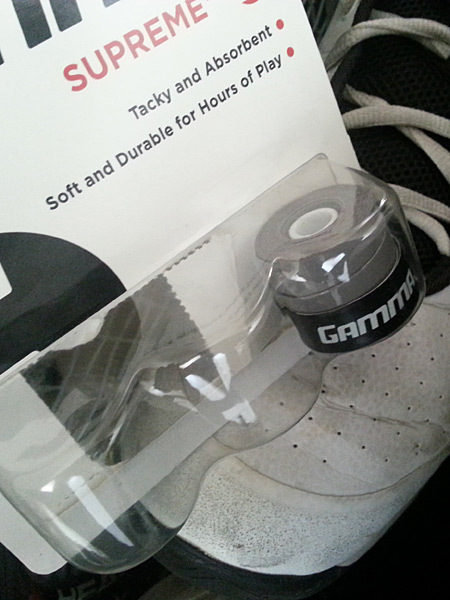 As for the actual grip, I’d recommend replacing it at least twice a year for maximum comfort and cushion. Otherwise, the grip loses cushion and hardens, making it tougher for your wrist and arm to handle the vibration. 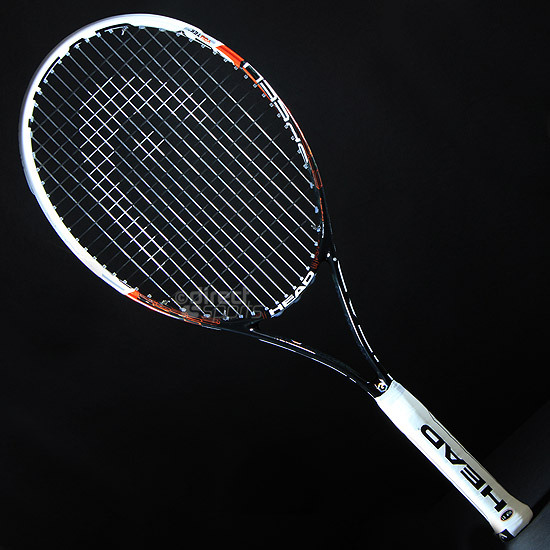 The loss of cushion also causes the grip to flatten, which can affect the racquet’s grip size. Question: If someone is interested in using an overgrip, what would you recommend? Answer: I can tell you what’s popular. The Wilson Pro overgrip does well because it’s tacky, and is also very thin. This keeps it from adding size to your grip. But generally, they’re all pretty similar. The one exception is a more cloth-like grip such as Tourna Grip. It’s not as tacky, but is more absorbent for people who sweat a lot. 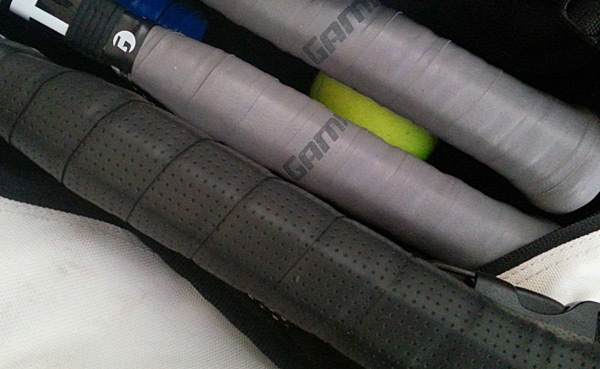 There are also many “old skool” recreational players who simply prefer the cloth feel to the newer types of grips. No matter what kind of overgrip you try though, remember to give your racquet’s actual grip a try before adding on an overgrip. And change it twice a year for best results.